The discovery of the fastest flexible silicon phototransistor ever by University of Wisconsin researchers could change digital photography -- and here's seven other ways the industry could shift. 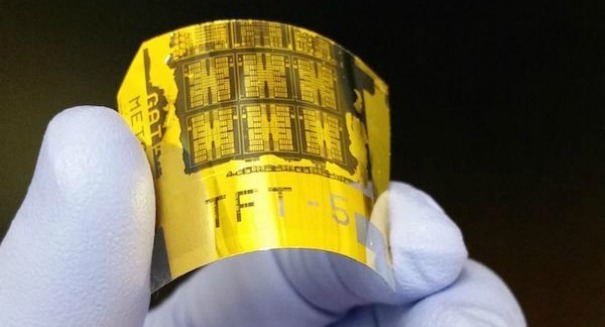 It’s one of the biggest discoveries in digital photography in a long time: scientists at the University of Wisconsin have created the fastest flexible silicon phototransistor ever made. As we reported, it will make photographs pop with clarity and high definition like we’ve never seen, surely changing the digital camera industry — but six other developments could be coming down the pipeline. A piece late last year in Digital Camera World speculated on what the future could look like for digital photography, and they came up with six other non-phototransistor innovations. Light field recording: This technology allows the user to select an area of the photo to focus on after a shot. It’s already in use today, but more innovations in this area could bring it to broader use. 8K video recording: We’re already in the 4K video range, but the next video standard could be 8K sooner than you think. It would seem almost inevitable at this point. Automatic AF Microadjustment: AFMA helps the user focus on the intended target, which isn’t always as easy as it sounds. The problem is AFMA can be quite tedious, according to the report, since it requires a lot of manual application, but that could change, as one patent by Canon seeks to make it easier. Organic camera sensors: Organic sensors are better than regular sensors in that they have better performance. They don’t need large photodiodes at each pixel, and can work with a thin, light-sensitive organic layer. Curved camera sensors: We’ve tried this with curved flatscreens for TVs, and digital camera manufacturers are trying to do the same thing with camera sensors. The idea is that light rays entering on the edge of a regular lens are lost, and thus don’t give you as good of a picture. Liquid zoom lenses: This is a lens with no moving parts, but rather an electrical current to shape the layers in the lens compartment.